“Oh the weather outside is frightful… but the fire is so delightful… and since we’ve no place to go… Let It Snow! Let It Snow! Let It Snow!” As the Christmas carol bellowed out of my car radio, I could hear my children in the backseat excitedly dissecting, exegeting, analyzing, and parsing every comment we had made about what they might get for Christmas this year. We were trying to decide where to go for lunch. The song and their conversation took me back to my vastly different Christmas experience while growing up in an immigrant family. My parents owned a small general merchandise store in Chicago which they opened 365 days a year. Christmas time was their busiest time of the year and every day of our winter break, including Christmas Eve and Christmas, was spent in that store helping our parents. Our family never wished for snow on Christmas as my parents piled their five daughters into the backseat of a beat-up 1976 Oldsmobile where only half of our rear ends would precariously hang on for their dear lives. Snow meant bad business and a car accident waiting to happen. My sisters and I never chattered on about what we would get for Christmas because we knew we wouldn’t get any presents neither that Christmas nor any other Christmas. We weren’t sad about it; it was just a cold fact of life which we had become used to after living in America for several years. While my parents sold presents to other people for a living, they themselves could not afford to buy presents for their daughters. 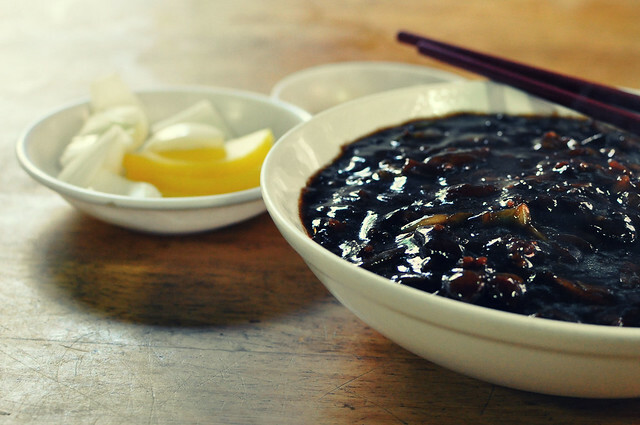 The only present we would receive on Christmas was a bowl of black soybean noodles at a Chinese restaurant in Chicago where we would go after a hard day of work. By the time I entered high school, however, I was way too involved with church to help out my parents during Christmas time. All of my winter break was devoted to writing, directing, and rehearsing Christmas skits at church while my parents continued to work at their store on Christmas. Instead of going out to a Chinese restaurant, they came to watch the Christmas show at my church after work. In their 20 years of running the business, the only day they closed their store was on the day of my college graduation; three of their five daughters were graduating from the same college on the same day. Was it because our college graduation was more important than the birth of Jesus? I don’t think so. After all, Mary and Joseph didn’t have much of a rest on Christmas. Neither did the shepherds in the field nor the three Wise Men who traveled many miles to bring gifts to Jesus. They were all immersed in their work when they discovered Jesus, were they not? To my immigrant parents, Christmas was time of work as well, but it was also of great hope and rejoicing: Hope of making the extra buck they needed to pay off their wholesalers so that one day they might rejoice at their daughters’ college graduation; hope of their daughters not having to work on Christmas in the near future; hope of their daughters giving their children something better than cheap Chinese food for Christmas. Eun Joo Angela Ryo immigrated to America from Korea when she was 9. She is a full-time third year MDiv student at McCormick Theological Seminary in Chicago and a part-time interim coordinator of the Center for Asian American Ministries (CAAM). Angela is also undergoing the process of pastoral ordination in the Presbyterian Church (USA). my parents did the same for me, so that i could have a good job and a future as well, but it turns out my job is one that operates 365 days a year and i have to work on christmas anyway. ironic eh?